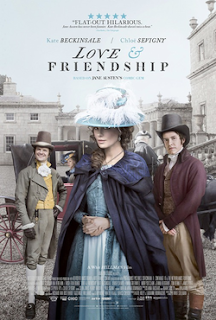 Did you hear about the new movie Love & Friendship written and directed by Whit Stillman? Kate Beckinsale and Chloe Sevigny are in it and it has received some rave reviews. It's an adaptation of Jane Austen's novella Lady Susan. I can't wait to see the movie! Whit Stillman wrote a companion novel to the movie and I am so excited to be part of the blog tour for his book Love & Friendship: In Which Jane Austen's Lady Susan Vernon is Entirely Vindicated. As a Jane Austen fan, I can't wait to check it out. Be sure to learn more about the book by checking out the description below and don't forget to enter the Grand Giveaway for a chance to win three hardcover copies of Love & Friendship. "Even at great houses with many rooms one usually becomes the favoured spot for gathering. At Churchill that was the spa- cious Gold Room, decorated in opulent banker style, its colour a dark shade of yellow. While Catherine Vernon occupied herself with the tea service she also lent an ear as Lady Susan chatted with and praised young Frederic two doors away. Catherine approached just as little Frederic toyed precariously with the jam pot. “Frederic, be careful!” she called. The pot fell with a clatter, immediately followed by Susan’s pleasant laugh. She reappeared, holding up part of her dress skirt bearing a gash of red jam. “I’m so sorry!” Catherine said. Lady Susan had the delightful quality of being nearly always in good humour, no matter the circumstances. Once seated she smoothly draped a tea napkin over the jam stain while politely changing the subject. “Alas, no,” Susan continued. “Miss Summers can only give her the concentrated attention she needs then.” Lifting the napkin, Susan glanced at the jam stain. “I’m so sorry,” Catherine repeated. tho’ always hearing she was beautiful; but I cannot help feeling that she possesses an uncommon union of Sym- metry, Brilliancy, & Grace. Her address to me was so gentle, frank, & even affectionate, that, if I had not known how much she has always disliked me for marrying Mr. Vernon, I should have imagined her an attached friend. That Catherine Vernon might write of Lady Susan so fairly and honestly must raise an alarm as to her true intention, her ultimate purpose. & her voice & manner winningly mild. I am sorry it is so, for what is this but Deceit? Unfortunately, one knows her too well. She is clever & agreeable, has all that knowledge of the world which makes conversation easy, & talks very well with a happy command of Language, which is too often used, I believe, to make Black appear White. Here one finds a prime example of “the DeCourcy Rever- sal” — a conclusion bearing no relation to the argument which comes before, marked above all by malice. Susan loyally supported Mrs. Cross’ efforts with her presence. Perusing some correspondence she had neglected, Lady Susan caught her breath. “Something troubling?” Mrs. Cross asked. * Pronounced “Mannering,” the “w” silent. Whit Stillman has taken Austen’s never-finished epistolary novella, Lady Susan, reimagined it as a straight narrative, and added the hilarious new character of Rufus, Susan’s apologist nephew, who aims to clear Susan’s good name come hell or high water (even if he is doing it from "the ignoble abode" of debtors’ prison ). 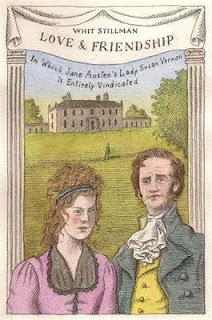 Despite many indications to the contrary, Rufus insists that Susan is, “the kindest, most delightful woman anyone could know, a shining ornament to our Society and Nation.” Rufus then appends his earnest tale with a collection of his aunt’s letters, which he claims have been altered by Austen to cast the estimable Lady Susan in a bad light. Love & Friendship brings a healthy helping of scandal, along with lots of laughs, to Georgian and Victorian London. Whit Stillman has also created a film version of Love & Friendship, starring Kate Beckinsale and Chloe Sevigny, opens in select theaters on May 13th. Whit Stillman was born in Washington, D.C., and attended Harvard, where he was an editor of the Harvard Crimson before working in book and magazine publishing. He has written and directed five films, including the award-winning Metropolitan, Barcelona, The Last Days of Disco, and Damsels in Distress, as well as the TV show The Cosmopolitans. His first novel, The Last Days of Disco, won the 2014 Prix Fitzgerald. He has written for the Wall Street Journal, Harper's, The Guardian, Vogue, and other publications. Visit his unofficial website for updates on this latest Amazon series The Cosmopolitans, and follow him on Twitter as @WhitStillman and on Facebook. 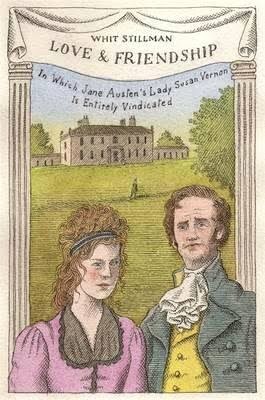 In celebration of the release of Love & Friendship: In Which Jane Austen's Lady Susan Vernon Is Entirely Vindicated, Mr. Stillman’s publisher, Little, Brown & Co has kindly offered a chance to win one of three hardcover copies of the book! To enter the giveaway contest, simply leave a comment on any or all of the blog stops on the The Love & Friendship Janeite Blog Tour starting June 13, 2016 through 11:59 pm PT, June 30, 2016. Winners will be drawn at random from all of the comments and announced on Austenprose on July 1, 2016. Winners have until July 07, 2016 to claim their prize. Shipment is to US addresses. Good luck to all! I have never read Lady Susan but I can't wait to see this movie when it is on DVD! I didn't realize there was a new book to go along with it. I'll have to order a copy for the library. Me too! Very excited to see it. I hope you can get a copy for your library. Thanks for visiting, Christina! Me too. I think I will read this book first and then see the movie. Thanks for visiting! I haven't even heard of this and I'm a big Jane Austen fan! I'll have to see this movie soon! Yes, definitely! I am excited to read the book and see the movie. Thanks for visiting! I've read Lady Susan. I'm still trying to see the movie--it's hard to get to the theaters because they're not close. I hear you. I hope you can see the movie soon, especially since you've read Lady Susan. Thanks for visiting! Christina, thank you for the excerpt. A very intriguing excerpt. A book I will have to read just now!